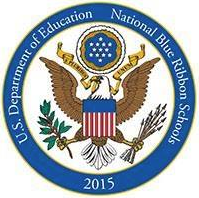 This is a school-wide event (preK-8) held during the evening and is for adults only. 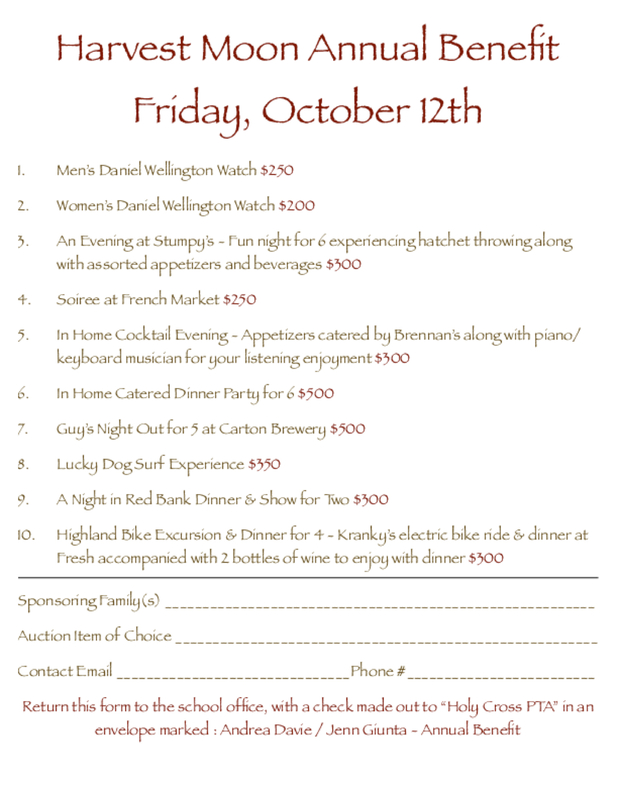 It is usually held offsite and consists of dinner, dancing and a silent auction. 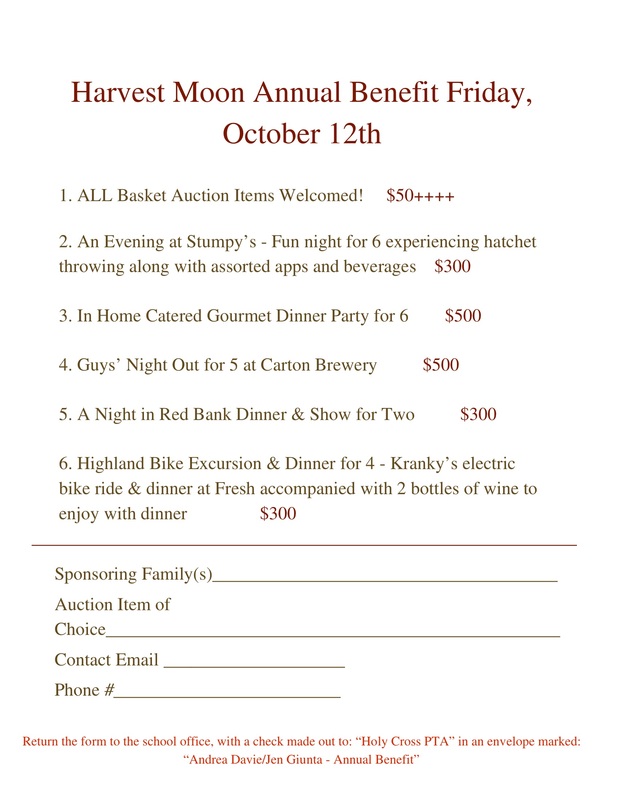 The auction includes items donated by local vendors (at least 50 baskets) and items created by the children from the preschool through the eighth grade. 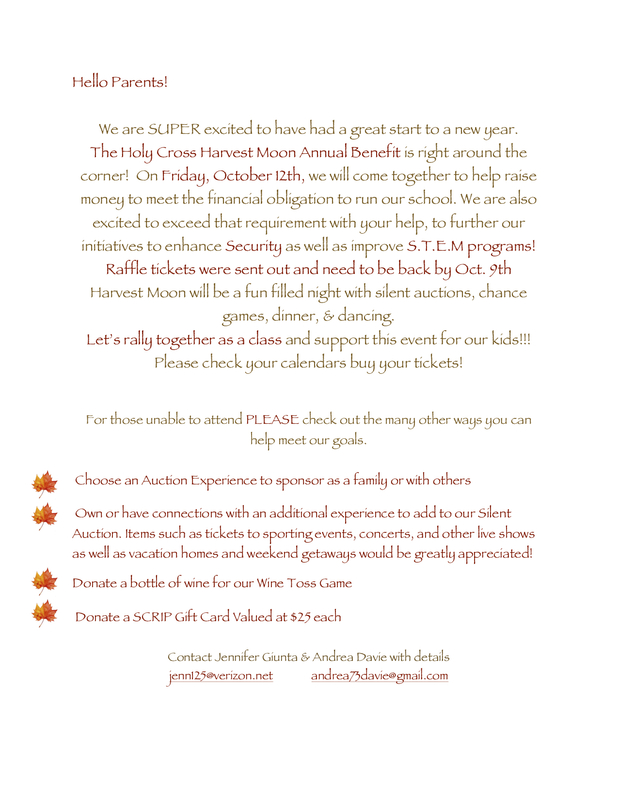 There is also a 50-50 raffle drawing and games to entertain all. 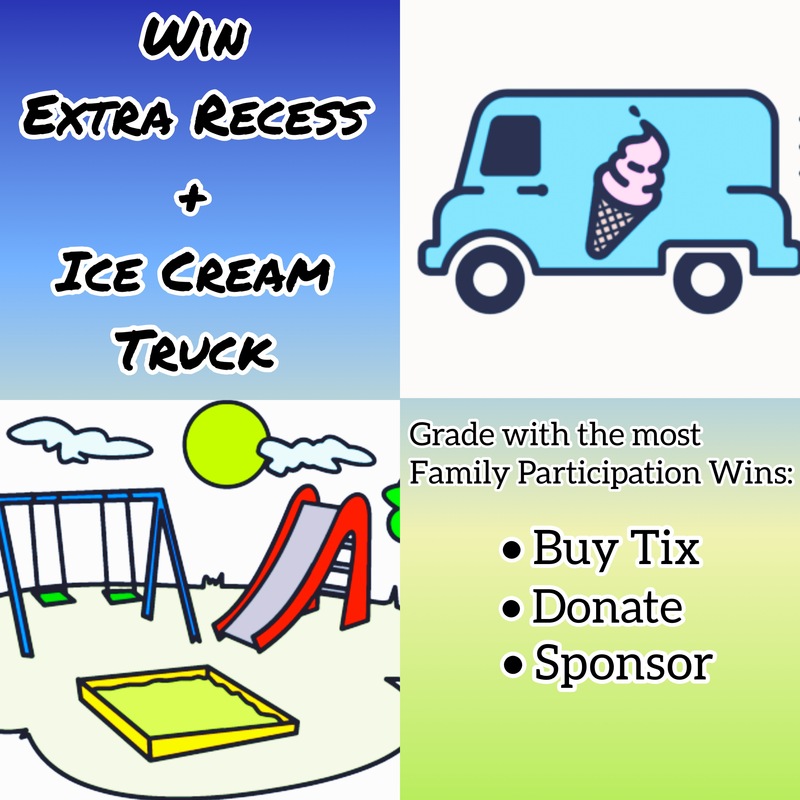 This is our main fundraiser for the school year. This committee of at least ten parents works for months to prepare for the fun-filled event. 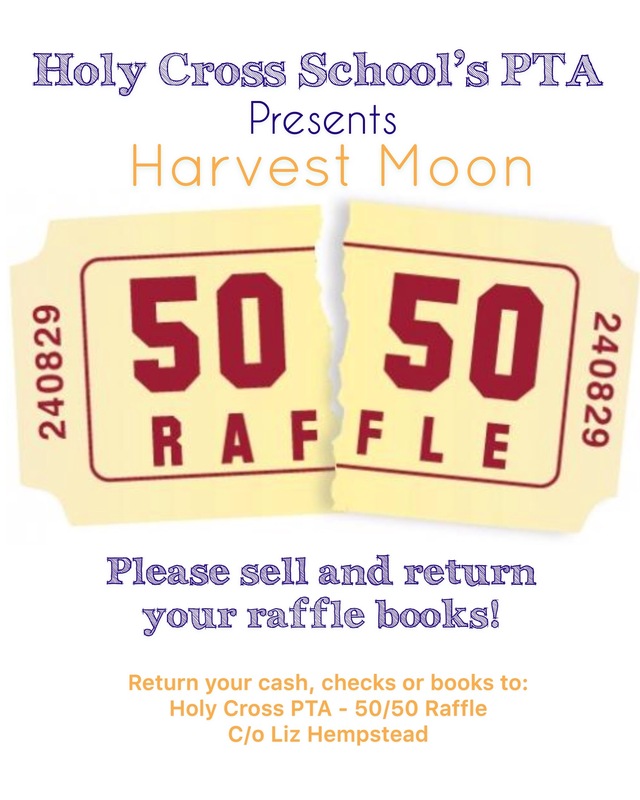 The PTA is raising money for Holy Cross! 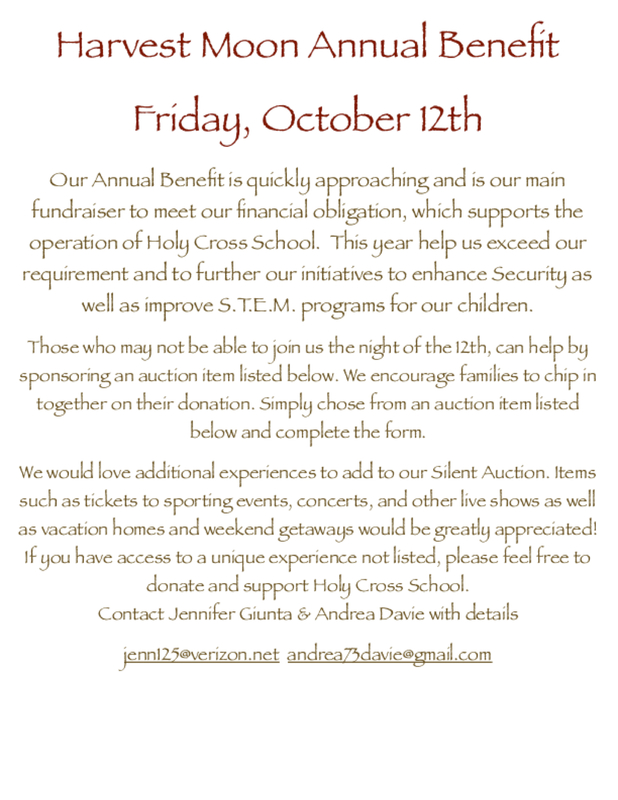 The Annual Benefit helps the PTA fulfill its financial obligation to Holy Cross School's operation and its programs for our children. S.T.E.M. and Secuirty are two of the many initiatives your money supports. 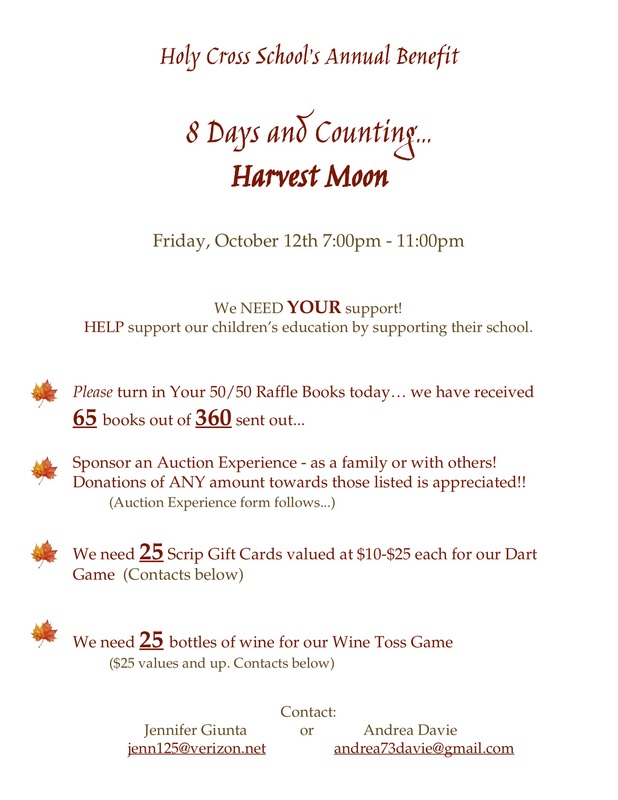 Please join the Holy Cross School community as we put teh FUN in fundraising - lawn games, door prizes, fabulous food, drinks and more. 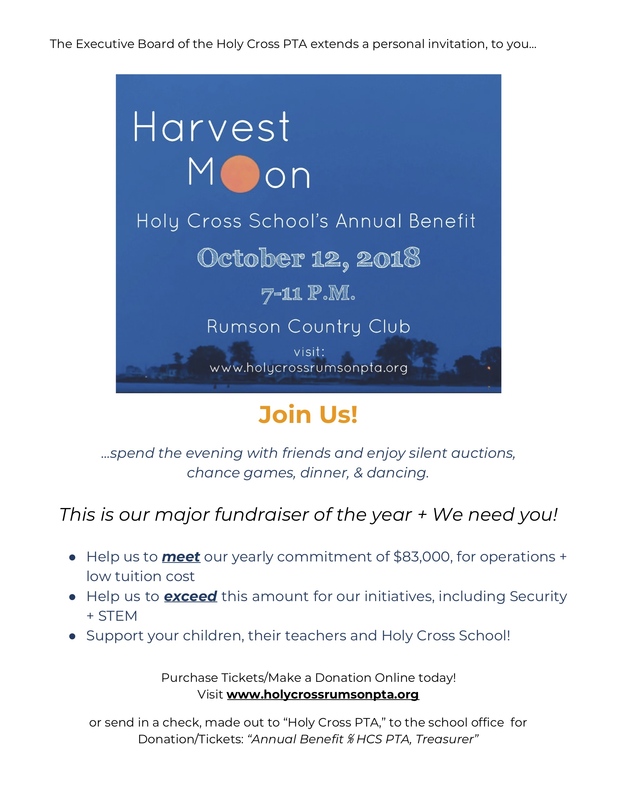 Your attendance will help plant seeds for the education and safety of children at Holy Cross. 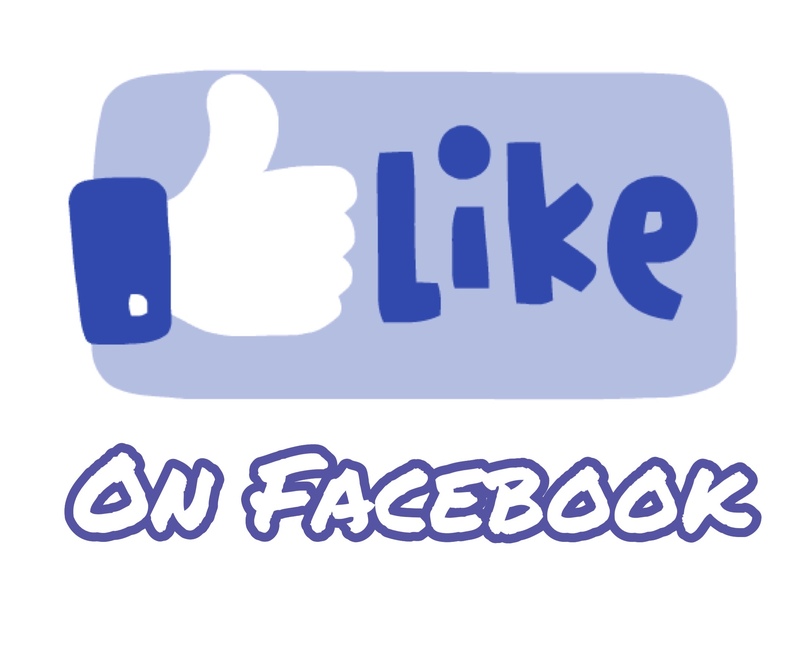 We look forward to harvesting the future together!